For generations, the people of Southend have been constructing boats for both leisure and for livelihood. Walking around the streets closest to the sea you'll see a remarkable number of boats in the gardens and yards of the area. 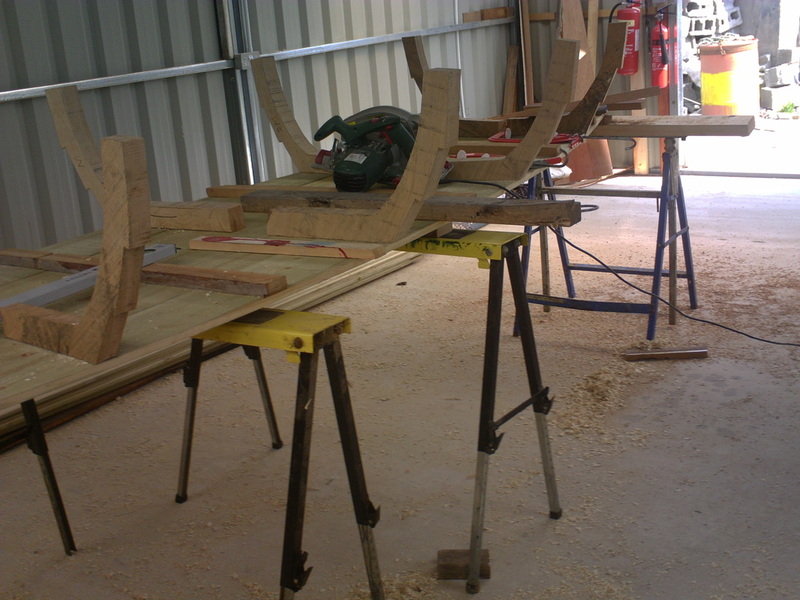 The unique skills associated with boat building and repair had previously been passed from one generation to the next, but there was a fear in recent times that these valuable skills were being lost. There was a lack of suitable facilities locally in which to carry out these activities, especially in the winter months when traditionally repairs would be carried out while the boats were not on the water. Thus it was that in 2009, funding was secured through Co Wexford VEC for the building of a Boat Building Shed on the grounds of Seaview House. The shed is equipped with electricity and is available to the community for the purposes of the construction of boats on a commissioned basis. It may also be used by local people and clubs for the repair and maintenance of privately owned boats. 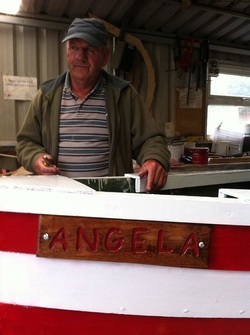 Since it's opening, an array of boats have been produced by the men of the area and one intergenerational project has taken place in which experienced boat builders tutored the youth group to produce the boat which is now installed on Maudlintown Green as a memorial piece. In 2012, funding was secured through the Coracle (InterReg) Project for a collaboration with students from Carlow IT (Wexford Campus) in which the amazing sailing cot "An Cruidin" was produced. The process was documented in the DVD "An Cruidin - The College Boat", which you can view an excerpt of below. We hope that local interest in sailing will be revived as a result of this. With this in mind, the Centre is currently supporting one of the men from the community to complete accreditation to become a Sailing Instructor. There has been huge interest in the men and the work taking place at the shed, and rightly so. Groups from around the country have visited and come to learn about this unique tradition and way of working. Boats produced have also been exhibited at the Commodore Barry Festival, the Wexford St Patrick's Day Parade, Heritage Week events and there will be a display upcoming at Wexford Library. If you are interested in accessing the shed or learning more about this facility, please speak to Murt Flynn at the Centre.